You Are Here: Alcohol Components. We researched and dyno-tested numerous carburetors and selected the carbs that work the best with alcohol while not sacrificing the engine’s performance. We offer the same carbs that we use on the Super Series Alcohol 565ci. 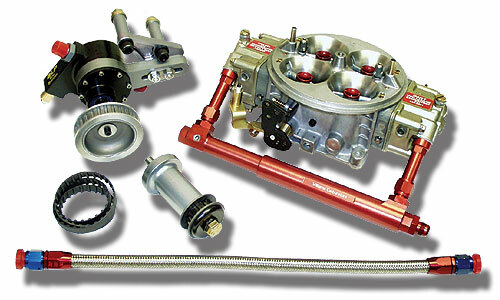 Complete kits available including: Carburetors, fuel logs, fuel pumps w/mounts, drive mandrels, fuel line and drive belts. Call us for more information.